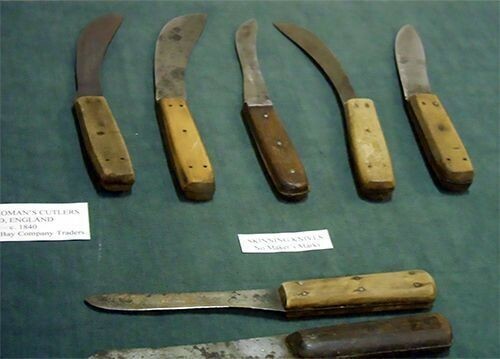 Typical trade knives used by the trappers were inexpensive to buy and were made with some of the best steel of the day, namely from the Sheffield area of England. Trappers used knives for everything from skinning a beaver or buffalo, to eating, to cutting hides for clothing and even doing some surgery on a wound. Typical trade knives used by the trappers were inexpensive to buy and were made with some of the best steel of the day, namely from the Sheffield area of England including the I. Wilson and Green River Company. Learn more about the “tools of the trade” used by trappers and mountain men.